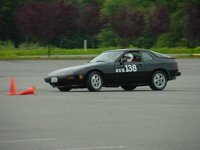 Have you driven a 1989 Porsche 944? 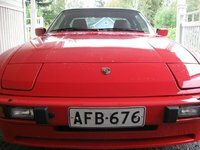 Displaying all 8 1989 Porsche 944 reviews. 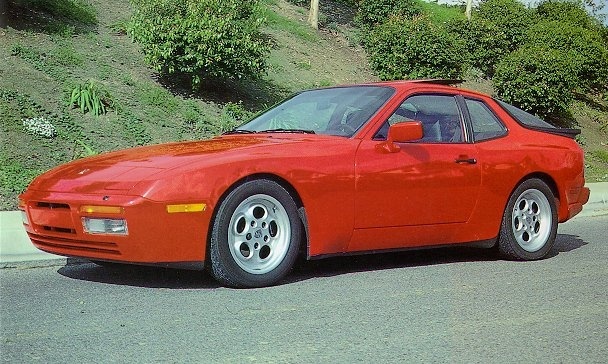 My Porsche 944, Great: Yes; Best: No. — The handling is outstanding. In 1989 Car and Driver called it the "best handling car in America," I think it deserves the title. Accelleration is good but could always be better, as it is not the turbo edition this is espcecially evident. The 80's square-cut look is an eye sore for some and a huge attraction for others, you either love it or hate it. Though it's not everly sleek it still reproduces that classic Porsche look with round headlights and the hard-angled windshield followed by a smooth-sloped rear end disturbed only but the not too aggressive wale-tail spoiler. The interior is quite nice really, comprized of mostly black leather and quality black carpet, it is resilliant as well. The overall build quality is great although it has a few glitches. The most common problem I have heard of is the internal water pump developing leaks and wabbles in the rotation. I had to replace mine. It's a relatively cheap part online ($100 USD) but it took me 16 hours to do the job. Overall it's a great car, I will be selling it though, resuming my quest for that true love. Puts A Smile On My Face Everyday — Certainly ahead of its time for styling and performance. Looks great and handles like a dream. Acceleration doesn't quite stack up to sports cars of today but in 1989 it ate Corvettes for breakfast. I have the 3.0 L S2 version. Highly recommend it. 944 S2 Is Awesome — The S2 has all the aerodynamics, suspension and brakes of the 944 Turbo with a larger engine and lack of turbo charger. It has more low end torque, but lacks the boost of the Turbo. But... its awesome to drive and it still looks fantastic almost 20 years after it was made. Cons: Things break when its old... good luck finding one in perfect condition. Even though its old and you can get one for a good price... it still costs a lot to fix it like any other Porsche. Great All Around Car — Its a Porsche, and it drives like one even though its 25 years old. Handles Great and acceleration is very good for a 4 cylinder. 0-60 is only 7 seconds, but roll on power on the freeway is fantastic. Do not need to downshift to pass a slow car or truck. Its a Porsche. Solid, sound car, but designed to handle and perform like a race car. Stopped good, accelerated good, and turned like it was on rails. Front Seats Ranked 1989 Nissan 300ZX 2 Dr GS 2+2 worse. "Power Bucket Seats with bolsters"
Value Ranked 1989 Nissan 300ZX 2 Dr GS 2+2 worse. 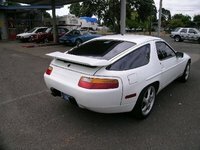 "Better performance, handling and its a Porsche"
CarGurus has 76 nationwide 944 listings starting at $11,990.